In celebration of the jubilee anniversary of the University of Victoria which had begun 75 years before this issue as Victoria College in 1903 the Malahat's first theme issue was published. The issue celebrates how the "West Coast Imagination," rooted in the First People's oral tradition as captured by Marius Barbeau, Franz Boas, and John Swanton, has bloomed into a Renaissance era within West Coast literature. In his introduction, Robin Skelton writes "All stories... 'about' logging camps, fishing expeditions, hunting trips, and canoeing... are legends in these parts." 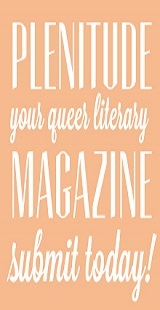 This issue is full of poetry of the landscape and west-coast life such as: Roo Borson's "Eucalyptus," Seán Virgo's gold National Magazine Award-winning poem, "Home and Native Land," Susan Musgrave's "Woodcutter, River-God and I," and Patrick Lane's "Day after day the sun," to name a few, as well as a collection of "Eight Found Poems from the Journals of Emily Carr" by Rita Hammett. Included are also essays, one by Constance Rooke on P. K. Page's impact on Canadian poetry, another on Patrick Lane entitled "Pine Boughs and Apple Trees" by Marilyn Bowering, even a few drafts of Susan Musgrave's poem "Hinging the Blind Memory," as well as several works of art by B.C. artists. Here renaissance fiction is in complete focus and while content doesn't focus strictly on the west coast it brings forth the values of multiculturalism, of the imaginations that have gathered in B.C. from around the world. The work of Tony Hunt, a now famous Kwakwaka'wakw artist, both covers the magazine and illustrates its interior. Robin Skelton writes in his editor's comment, "It is our hope that this issue... reveals some of the vitality and variety of one part of our current West Coast Renaissance." In Charles Lillard's essay "The Past Rising From Our Midst" we get a sense of the long history of west coast fiction through an interview with author Hubert Evans. Unlike today, many of B.C. 's early writers were more popular and more published in the U.S. or the U.K. In this issue lively characters such as Judy Winter's "Claire," Howard O'Hagan's "Ursus," W. P. Kinsella's "Fiona the First," and Hubert Evan's McGibbon in "Betrayal," as well as cheeky naratives like "Adolpho's Dissapeared and We Haven't a Clue Where to Find Him," by Leon Rooke, "A First Class Funeral," by Sonia Birch-Jones, "Portrait of Duck," by Robin Skelton, and "Unless the Eye Catch Fire..." by P. K. Page fill its pages. In this issue Robin Skelton's wish from West Coast Renaissance II is granted. Thirteen stories from Franz Boas' collection of Indian Folktales from British Columbia are printed in a literary magazine for the first time. Bill Ellis, once a publisher and distributer of native artwork, writes a short essay on "The Rebirth of Haida Arts and Crafts." Famous carver Bill Reid has four photographs entitled The Progress of Carving included in the issue. In the editor's comment, Charles Lillard details the history of the name "West Coast" and how the history of names and places tie in to the Canadian art and literature that developed along the west coast. Lillard, who credited George Woodcock as "the man responsible for the present renaissance," in the first renaissance issue (#45) closes the issue with an autobiographical essay by Woodcock discussing how a "cosmopolitan consciousness can live and create on the frontier without succumbing to frontier mentality." In this issue: "She Keeps the Dance Turning Like the Earth," a work of short fiction by Washington author Duane Niatum followed by four of Niatum's poems, "Centennial Year for the Spirits," a poem by Sister Goodwin, "Song of the Northern Lights" and "Ohalet," two poems by Tim McNulty, and many other poems and sagas written either by First Nations authors or visitors who became interested in writing about native culture. The 100th issue of The Malahat Review marks Constance Rooke's final issue as Editor (she began as Editor on issue #65, July 1983). 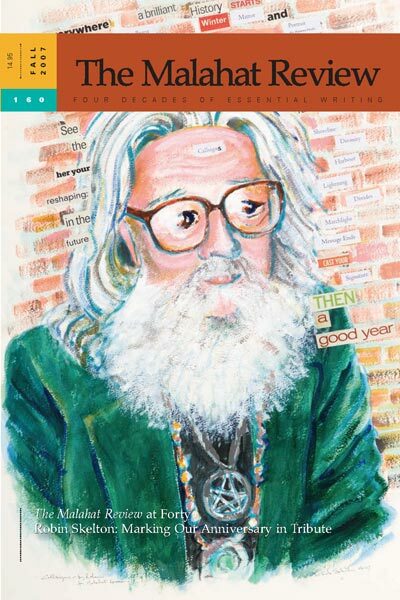 This 263-page issue includes a plethora of great poetry and fiction, including several National Magazine Award-winners: Mia Anderson's "from The Shambles" (Gold, poetry), Julie Bruck (hon. mention, poetry), Sharon Thesen's "13 Views, A Pastorale" (hon. mention, poetry), Yann Martel's "The Time I Heard ..." (Gold, fiction), and Michael Kenyon's "Durable Tumblers" (hon. mention, fiction). Other contributors include P. K. Page, Marilyn Bowering, Michael Ondaatje, Dionne Brand, Elizabeth Hay, Janice Kulyk Keefer, and Diane Schoemperlen. Inspired by the 1994 Commonwealth Games, hosted by Victoria, this 224-page issue features writing by authors from places such as Barbados, India, Kenya, Australia, Jamaica, Wales, Trinidad, Sierra Leone, Zimbabwe, New Zealand, Botswana, Nigeria, and the Republic of Maldives. It includes work by writers such as Shimmer Chinodya, Manini Nayar, Angus Martin, Sujata Bhatt, Rantefe Mothebe, and many more. There are also two interviews: Eleanor Wachtel with Vikram Seth and Segakweng Seisa with Rantefe Mothebe. 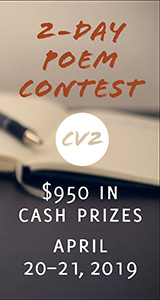 This issue contains many essays on reviewing, most notably, Jan Zwicky's "The Ethics of the Negative Review" which has recently stirred up much debate when republished on CWILA's website. You can view a negative review of the article by Michael Lista, Jan Zwicky's response, Michael Lista's rebuttal, Jan Zwicky's rebuttal, etc. on The National Post's website. Other contributors to this issue on reviewing include Eric Miller, Zsuzsi Gartner, Annabel Lyon, Robert Bringhurst, Lynne Van Luven, Douglas Glover, Robyn Sarah, Mark Anthony Jarman, and John Lent. Who was Robin Skelton, as a man, a boy, poet, student, and teacher? Yvonne Owens declares Robin sang his poems "like a jazz saxophonist blowing a mellow, honeyed rift," after the first time she heard him read his poetry, "many years ago." At one time he was, "a pallid, bespectacled student who turned out to be a good poet and critic," according to James Kirkup, an early teacher of Skelton's. This issue, dedicated to his memory, was published on the tenth anniversary of Skelton's death and the fortieth anniversary of The Malahat Review, which he founded. Current editor John Barton writes of meeting Selkton during Barton's university years, in the then four-year-old writing program at the University of Victoria. Rich with praise, and best of all stories of one man's life, this issue continues the west coast legacy Skelton began all those years ago. "I am rather tired now; the bustle of beggars, the cries of red-smocked porters and unshaven sweepers, the jostlery of white robes and khaki tunics at the ticket grill — they have me wearied," from "The Road to Kandy," is an excerpt of previously unpublished prose from Skelton's unfinished memoir. Several mini-biographies included in this issue form a collage of Skelton and his contribution to literature on the west coast. Join the continuing discussion on "West Coast" writers and the "West Coast Renaissance" in Nicholas Bradley's review of The Malahat's themed issues which claimed what happened in Italy and Ireland was happening on the west coast too but ultimately "demonstrate that the Pacific Coast has a long, varied, and noteworthy literary history," ("The Whole Storm of Mortal Conflict: Robin Skelton and West Coast Literature"). 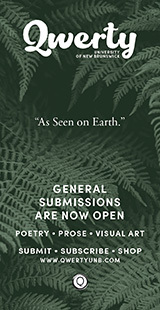 This issue includes Marion Beck, Rhonda Batchelor, A. F. Moritz, Charles Lillard, Susan Musgrave, Seán Virgo, Margaret Snow, Ron Smith, Diane Keating, Harold Rhenisch, and many others, as well as Anita Lahey's review of Skelton's posthumously published book of poems Facing the Light. 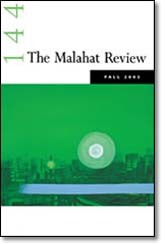 This issue of The Malahat Review contains "green" poetry, fiction, and creative nonfiction, including a couple of National Magazine Award winners and a Western Magazine Award finalist: Sina Queyras' "Her Dreams of the Expressway" (Gold, poetry) and Joel Yanofsky's "Bad Day" (Silver NMA, personal journalism and finalist for a WMA, human experience). Contributors to this issue include Philip Kevin Paul, Melanie Siebert, John Steffler, Roo Borson, Timothy Brownlow, Peter Sanger, Jan Conn, and Cynthia Woodman Kerkham. Jay Ruzesky also interviews four authors: Tim Lilburn, P. K. Page, Don McKay, and Jan Zwicky. 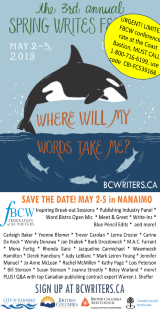 This recognition of the contribution this literary duo has made to the writing community, particularly on the west coast, contains writing by many authors affected by Lorna and Patrick, including Chris Hutchinson, George Bowering, Tim Lilburn, Heather McHugh, Don Domanski, Steven Price, Brian Brett, Isabel Huggan, and Jeanette Lynes. 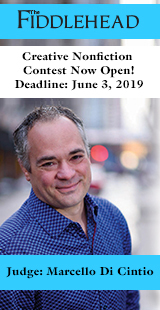 There is also an interview with Lorna, Patrick, and Jay Ruzesky, criticism by John Kinsella and Carmen Leñero, and reviews of Lorna Crozier and Patrick Lane's latest books, Small Beneath the Sky: A Prairie Memoir and Red Dog, Red Dog respectively.